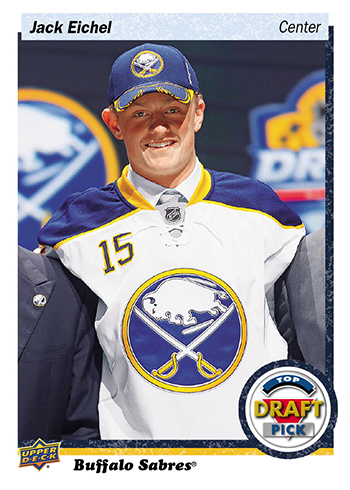 While fans of Canadian NHL® franchises and the Buffalo Sabres haven’t had much to cheer about during the 2016 Stanley Cup Playoffs, they will be cheering at the 2016 NHL Draft™. Canadian franchises and the Buffalo Sabres (host of the 2016 NHL Draft) have eight of the top 12 spots with the Winnipeg Jets and the Toronto Maple Leafs have the #1 pick. 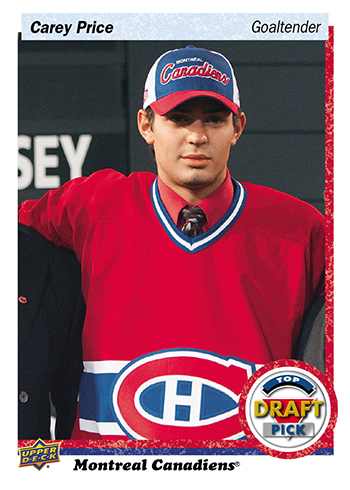 It is a Draft that could change the course of history for all these franchises and with Canadians so passionate about their teams it could mean huge interest in rookie cards next season. The 2016 NHL Draft™ should be a memorable event for everyone in attendance. 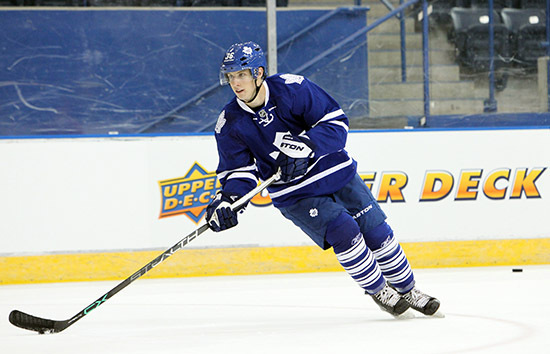 The 2016 NHL Draft™ #1 pick will join Mitch Marner and others to make the Maple Leafs a serious contender again. 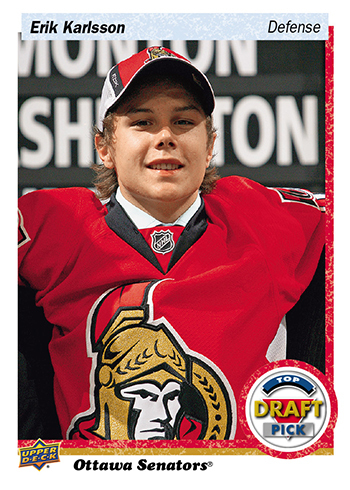 Some young draft picks have Upper Deck cards already from our popular Team Canada set. 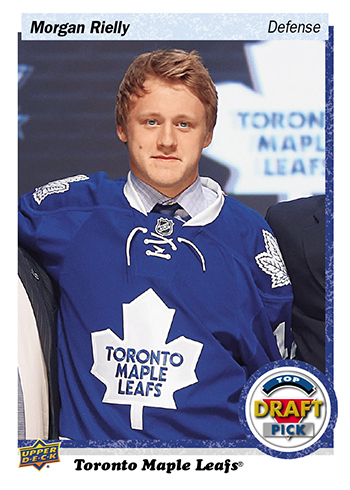 It’s not until a rookie actually skates in an official NHL® game that they are able to get an Upper Deck rookie card however. While all these picks have the potential to impact the league and the NHL trading card category, fans will have to wait for November to see their first cards in 2016-17 NHL® Upper Deck Series One. Each of the Canadian franchises and the Buffalo Sabres have incredible players who they drafted previously making an impact today. 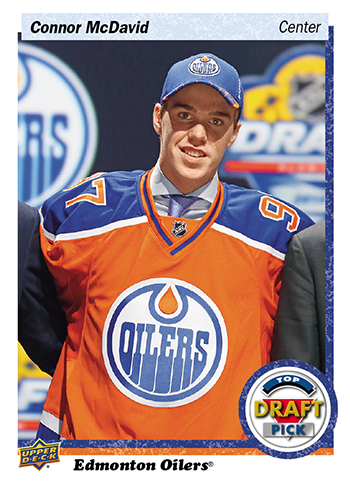 To celebrate that, Upper Deck has created a special 16-card Draft set that will be available in mid-June around the Draft. 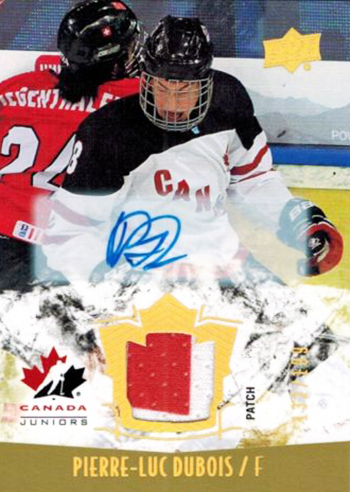 Worthy of note, there will be some exchange cards for memorabilia signed at the 2016 NHL Draft that will be exclusive to each of the markets. 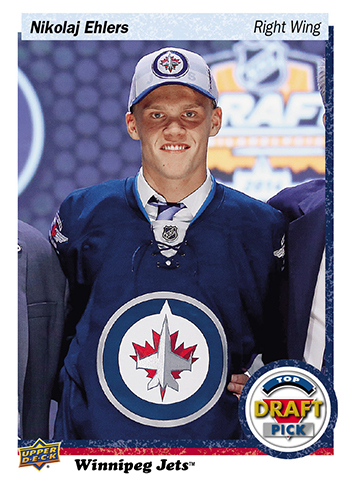 For example, Winnipeg Jets exchange cards will be available ONLY in packs sent to Winnipeg and Buffalo Sabres exchange cards will be available ONLY in packs sent to Buffalo. Additionally, a special unannounced insert is available for the timeless legend Jaromir Jagr (Card-0). We want to encourage all hockey fans in attendance to stop by the Upper Deck booth on the main concourse of the First Niagara Center for what should be a memorable experience during the 2016 NHL Draft™. Here is just some of what we have going on for the Draft! 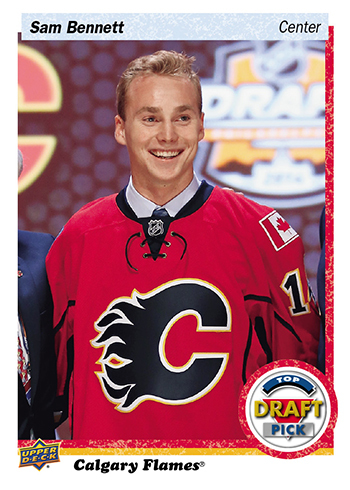 Personalized Upper Deck NHL® Draft Trading Cards – Have you always dreamed of one day being on an Upper Deck trading card? 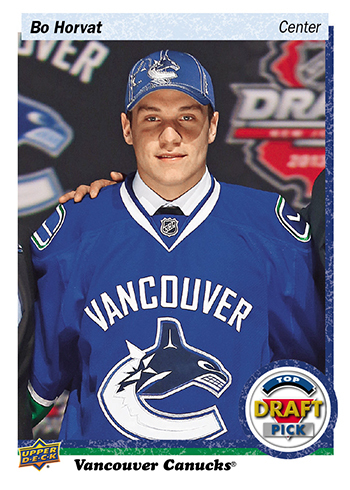 Well now is your chance at the 2016 NHL® Draft where Upper Deck will have a professional photographer onsite to shoot fans and then print actual Upper Deck NHL® Draft trading cards for them on site. Fans just need to sign-up for Upper Deck e-Pack™ and show they are a member of the online platform as they get into line. 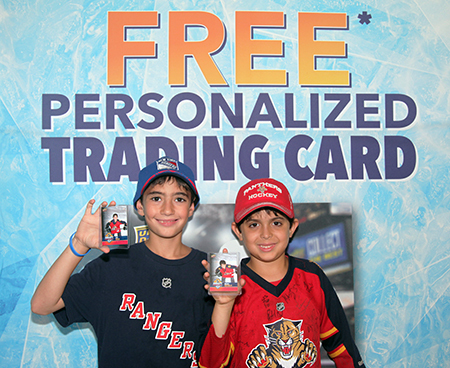 Kids under the age of 18 can get their cards done for free as long as they have an adult with them who is a member of Upper Deck e-Pack™. Puck-O Wrapper Redemption – Remember that game show where you drop the disc down a board to score a cool prize? 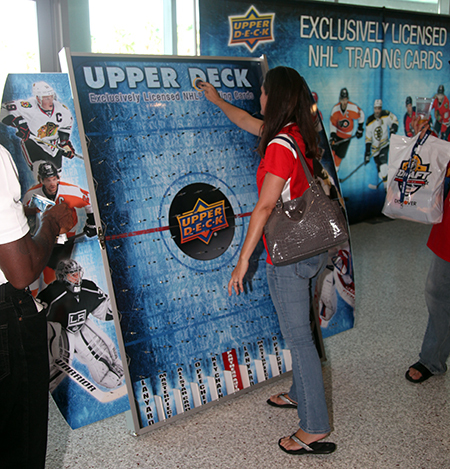 Upper Deck will be bringing our own version of that to the 2016 NHL Draft™ with our Puck-O game where fans can drop a special puck down a board to score the cool prize. Fans only need to bring two sealed (2) packs of 2015-16 NHL Upper Deck Series Two, 2015-16 NHL Upper Deck Full Force or 2015-16 NHL Fleer Showcase to play. Fans can win cool prizes like 2016 Upper Deck NHL Draft™ 5×7 cards, insert cards, collector’s binders, Upper Deck slingpacks and more! 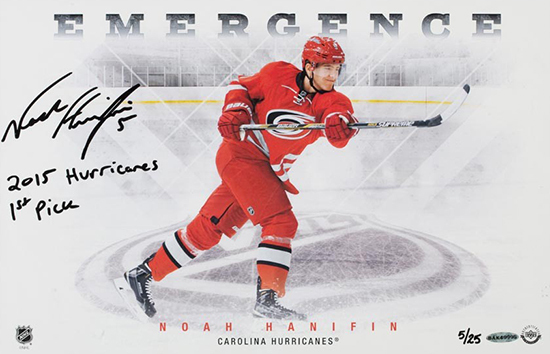 FREE Autograph Signing with Noah Hanifin – He was the fifth pick in the 2015 NHL Draft and had a solid rookie season with the Carolina Hurricanes. Noah Hanifin will be on hand to sign FREE autograph Upper Deck 5×7’s at the Upper Deck booth on Saturday, June 25 from 10:00 a.m. – 11:45 a.m. Behind the scenes the Upper Deck Team will be busy running draft picks through the gauntlet. Have you always wondered what happens after you are drafted? 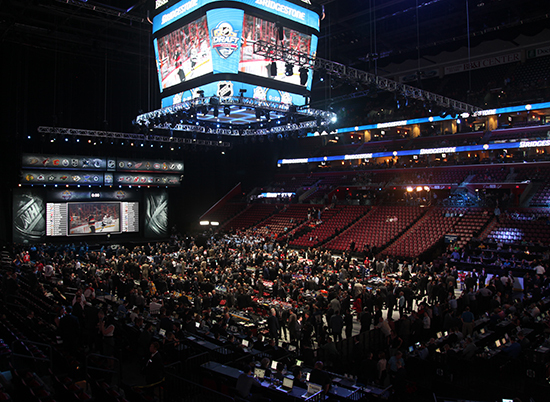 Check out this behind-the-scenes look at running the NHL® Draft Gauntlet!. It is sure to be a great weekend for hockey fans throughout North America as the next generation of “Young Guns” are called to the stage. Make sure to be part of the conversation by following Upper Deck on Facebook, Twitter and Instagram in particular and by using the hashtag #NHLDraft. I would love to have a set from the draft (with 1990’s design, the year of our first love)… is it possible to get one even if I did not have a passport…?